Social Care Curry Club | Love curry? Love social care? You are in! Love curry? Love social care? You are in! The club for those who love curry and social care and gave us a really useful profile boost. This year they got in touch again to say they’d like to do a showcase one year on, so if you’re attending an eat-up on Thursday, and over 80 people are, be sure to share your pictures with the #socialcarecurry hashtag and we’ll keep you posted on what they put together. Please keep your pics natural, not too formal, we’d like it to capture what attending curry is like. We had hoped to also have curry in Belfast (may still) and in Birmingham and Liverpool but no-one has responded to calls to co-host, and it seems pointless to arrange a curry for one and logically if there aren’t enough people to find a co-host then there wont be others at it. If you would like to co-host or attend please add your name to the bottom of this post as a comment. Thu 28 Aug update: I’m delighted that we can confirm we have Belfast as an option next week, with host Laura. This is the first time we’ve had an eat-up anywhere in Ireland, and we really hope it proves successful. London is also now happening, thanks to Natasha finding a fully accessible venue (we believe, all facilities on the ground floor) – all welcome. Also we have had numerous enquiries about London. It would appear to be incredibly difficult to find London venues that are genuinely accessible, as much as Sue kindly agreed to go back to the place that tried to ban her and Faith (the coolest dog on the internet). We have tried four venues in London now and none have ticked all boxes: accessible, good value for money, near mainline train stations. Something has to give, and we’re not prepared for it to be accessibility, or ideally value for money, because that just becomes another barrier for participation for people. The mainline train stations is (I think, as ever shout if I’m wrong) a slightly lesser priority because if you’re getting a train into London, perhaps you could consider hosting an eat-up wherever you’re coming from? I have no real idea, sorry curriers, I’m stumped on this one and it’s a slightly taxing problem to have to try and solve from Devon! If there is someone prepared to host in London who can find an accessible curry house then please, please add your name and venue to this post and I’ll get the booking set up. If there isn’t that’s cool, I suggest we give London a miss in September and convene a crack group of ninja curriers to solve the problem in time for December – feel free to add your name if you’d like to convene that group or join it. Social Care Curry has always relied on its network to make it happen, it’s not complicated, book a venue, advertise and see the magic happen (no sales)….but ‘we’ are not a team of staff, we can’t advise on local venues or book them for you, and we can only do a certain amount of promo.There is still just about time to set up new eat-ups if you’re sitting there wondering why your local area hasn’t got one. Just add your name, venue and time below and I’ll add it to eventbrite with the others. You then need to do the leg work to drum up interest, and in just over a week there will be scores of people sitting down to eat curry and chat social care. Magic. It’s that time of year again and we’re on the look out for hosts for our September eat-up. Our last eat-up in June saw 15 groups gather across the UK and since then we’ve had a one-off eat-up that coincided with the JSWEC Conference last month. We’ve also celebrated our first birthday!! Not that we did anything except blog about it – you can read it here, and it includes my take on the secret of our success!! Anyhow, back to September. If you’d like to host on Thursday 4 September, it’s the same drills as always – please add a comment to this blog post, with your name, your co-host if you have one (we will crowdsource you one if you don’t), your suggested venue/location. The comments will be made public so don’t include your email address or anything you’d like kept private. Our requirements are minimal. Ideally eat-ups start at the same time everywhere 19:30 (but you can alter this if you must, however the time was set in conjunction with previous attendees), we prefer it if no more than one of the two hosts have hosted before – this allows us to spread the host role and build capacity/a network of people who have hosted. We also ask that venues are accessible. You can read more detail here. Please get sharing and volunteering. Please feel free to offer on twitter too but please do comment here so we have all offers in one place. Please also offer again even if you’ve mentioned it in passing to Matt or myself, because we both have brains like sieves and will have probably forgotten! Once we have a number of hosts we’ll add the booking pages to eventbrite. It’s up to you then to do the promotion. Thank you curriers. 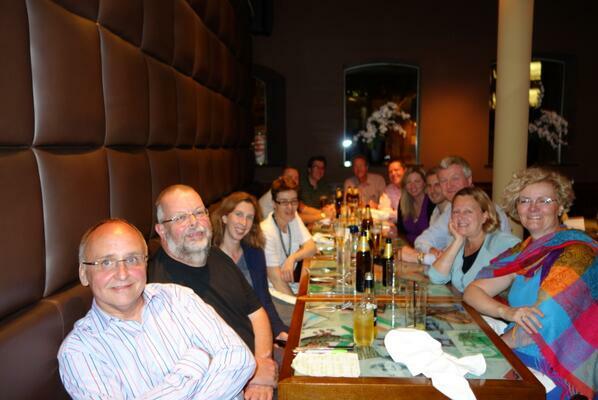 ps We will also have another stand alone Social Care Curry Club at NCASC this year in Manchester…..watch this space. It’s that time again, the stomachs have started grumbling, the distant whispers of the relative merits of bhuna or jalfrezi can be heard if you listen really carefully, and the tweets are starting to pile up asking about the next curry club. 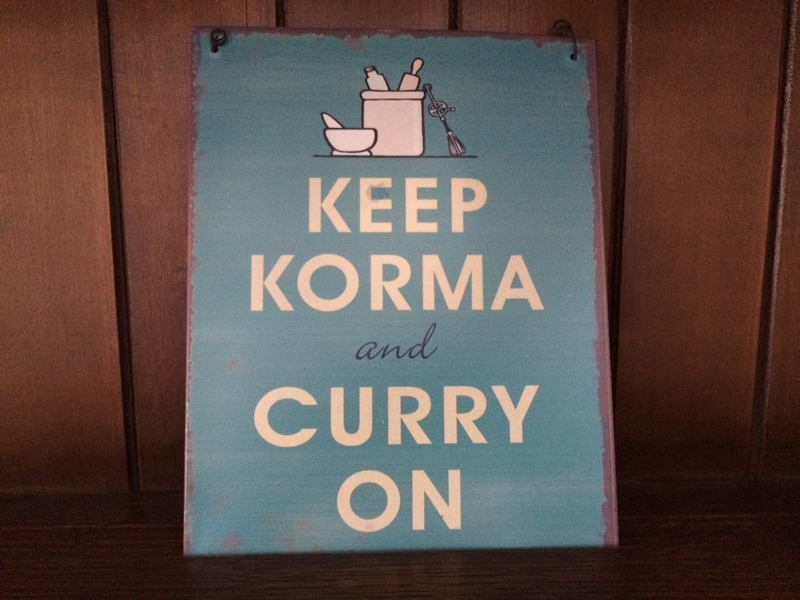 Social Care Curry Club will return on June 5 2014 and we’re now at a stage of requesting hosts so please do get in touch. As ever with curry there aren’t really any rules except no sales, and you must pass the love social care, love curry test. If you can say yes to all of those then you’re welcome. We are trying to spread the hosting around a little, so if you’ve hosted more than twice before please try to pass your responsibilities onto someone new! We also would much prefer pairs of hosts, if you don’t know someone that’s fine, we’ll get you a partner in crime but inclement weather and other unforeseen circumstances have meant we’ve lost several hosts on the night/just before – we know it happens, so we’re trying to plan for it. In fact on one fateful night last year the amazing Tim stepped up to the Scottish curry club mantle after we lost not one, but two hosts, due to flooding. So, pairs it is. If you’d like to host please add your name and location (exact venue if you know it or town if not) below in the comments section and we’ll set the eventbrite page up for bookings. Some of you have already offered publicly and privately, please add a comment here or DM again and we’ll work it out. There’s a post that goes into the role of host here, it will probably answer every hosting question you have, if it doesn’t then please send us a tweet or leave us a comment. We are also happy to have more eat-ups if there isn’t one near you and you fancy hosting. Just get in touch @SocialCareCurry and we’ll add you to the list. Keep an eye on our eventbrite page where the eat-ups will be added once we have confirmed venues from hosts. What does a Social Care Curry Club host do? This is a very common question that we’re asked when we’re arranging Social Care Curry eat-ups, so we though we’d put a post together to point people to. I wanted to start by reiterating that Social Care Curry wouldn’t exist without our volunteer hosts. While you could argue it wouldn’t exist without it’s punters, it certainly wouldn’t be more than a good idea without our lovely hosts. It is these people who encourage, coordinate, arrange, market, book, tweet, welcome, blog and generally support Social Care Curry to make sure that people can actually come together once a quarter to talk social care and eat curry. A quick question and answer for you, based on I’m thinking of volunteering to host…. Q. What would I have to do? The bare minimum is book a curry house and turn up on time to welcome people on the night. Some hosts have taken it upon themselves to market their events, some have spoken to journalists for us, and some are amongst our biggest advocates, but the minimum is enough. Q. How much time will it require? Hmmm, how long is a piece of string? Again the least amount of time is a couple hours on the night, we try to ensure all curries start at the same time (7pm) although ideally we’d like hosts to be there a little earlier. Any more time than the evening itself is up to you. We manage all the bookings centrally so there is no need to email people or book people on – you’ll receive an email a couple weeks before with your booking numbers at that point, and then again on the day with updated numbers. Some of our larger eat-ups find it easier to negotiate a set menu, so everyone knows in advance what they are paying. This can sometimes take time to arrange, and some additional emails or phonecalls, some of our hosts take it very seriously indeed and trial a number of curry houses to check which serves the best food (this is not a requirement, they’re just curry addicts). Q. I don’t tweet much does that matter? Social Care Curry Club started with twitter and this blog, but there is no requirement that you tweet at all, as a host or someone attending. It’s optional, many curriers do, but not all. We’re keen to ensure that the word about Social Care Curry spreads beyond the twittersphere so not tweeting shouldn’t be a barrier to hosting. Q. Will I get paid? Absolutely not, sorry, everything is voluntary. You are almost guaranteed a spring in your stride the next day when you remember that you helped create something so awesome, and brought so many strangers together, that’s quite special…but it doesn’t pay the bills. Q. Can I use the opportunity to promote my business/product/vacant posts I need filling? We are incredibly strict about this, and it’s a big fat no. People have repeatedly told us that the lack of hierarchy, combined with the no sales environment, is what makes Social Care Curry Club so appealing, so you can not use it as an opportunity to promote yourself or your product, sorry. Q. Will I enjoy it? Ummm, if you’ve got this far through the post, and are still considering it, yeh I reckon you will. 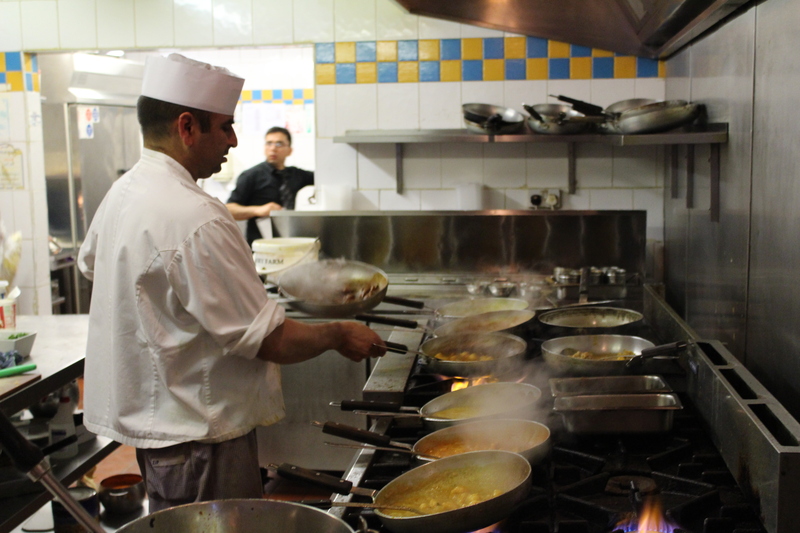 It takes a certain type of person to be prepared to pitch up at a curry house and meet a bunch of strangers, but we think it’s worth it, and we’re confident you’ll enjoy it too. Feedback so far has suggested the only bit of the exercise that is not enjoyable, is working out the bill, which you can of course avoid if you negotiate a set menu. Q. I’m not very senior/I’m a student/I don’t work in social care…can I still host? Yes, yes and yes. Our hosts come with a range of experience and identities. The only requirement is the requirement to attend Social Care Curry – that you love social care and love curry. If that’s you, then you’re welcome to volunteer to host. Q. Why do some eat-ups have two hosts? Since we started Social Care Curry Club last year all manner of spanners have been thrown in the works, mostly related to illness, horrendous weather and travel delays. In fact at the last eat-up neither of our Scottish hosts, Jon or Anna, could make it to the venue, leaving a gallant Tim Kelly to step into the breach with a couple of hours notice. We like to think we’re reflective learners, and therefore our preference is always to have two hosts at an eat-up, to account for some of these challenges that can’t be anticipated. We are also keen to match together hosts that don’t know each other, which has resulted in some brilliant collaborations so far. Q. How do you decide who gets to host? This is tricky, anyone who knows us will know that my (George) geographical knowledge is completely and utterly dire, and that Matt’s obsession with curry renders him almost incapable of saying no to the idea of curry, so there isn’t an exact science. So far we’ve said yes to everyone who has volunteered to host, although last time there were some eat-ups very close together. Our plan is to get the names and locations of people willing to host now (5 Feb) and we’ll make a decision on who and where in a week to ten days (depending on how many of you volunteer). This is our third quarterly meet up so where possible we are looking to build our network of hosts, but we do have a number of very experienced hosts who have offered to partner up, or provide support to new people. I think that’s it, any more questions just send us a tweet @SocialCareCurry or leave a comment and we’ll get back to you as soon as possible. Here’s to March 6 eat-up being our best yet. we’ve also had some brilliant responses, reactions and even some coverage from the media in the shape of Community Care and the Guardian Social Care Network. The network of curriers has also grown exponentially, from just Matt and I to over 1000 followers on twitter. 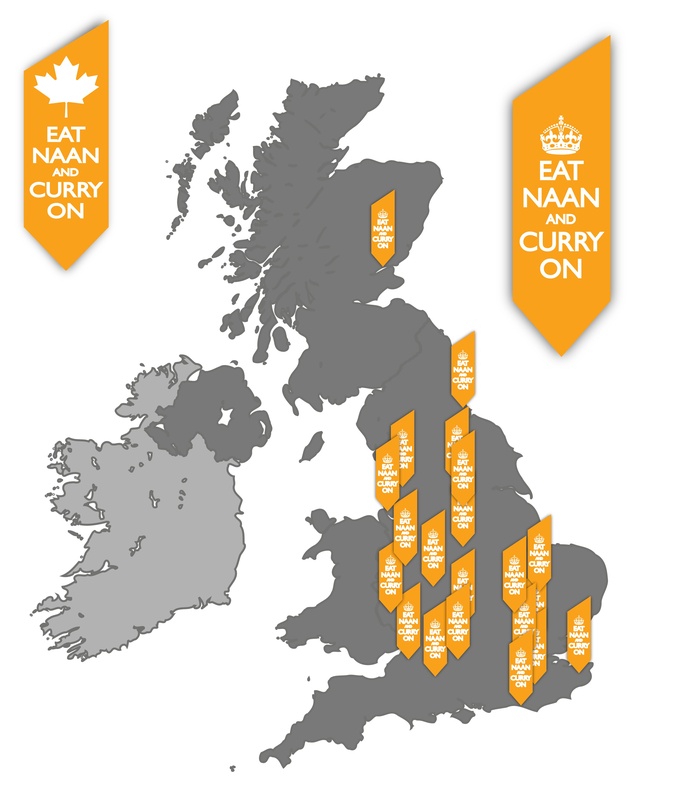 We’re delighted that we have over 200 curriers booked to attend the December eat-up, and perhaps even more importantly, we have 21 UK venues and Vancouver on offer this time, which means that there’s more choice of local curry. As with last time the proof of the poppadom is in the eating but we’re quietly optimistic that a good time will be had by all. Just a short reminder to encourage you to book now if you’re interested in coming along to the December Social Care Curry Club eat-ups. They’re all taking place on Thursday 5 December, which is just over two weeks away. Most eat-ups start at 7pm, although check your actual booking page on eventbrite or your tickets to double check as one or two are starting earlier or later. We’re delighted that there has been a similar level of interest as September (over 200 people in the UK and Canada so far) and are even more pleased that we have more locations, meaning that it should be easier for people to access an eat-up closer to them. The criteria remain the same, everyone is welcome providing they love social care and love curry and promise not to sell anything. You can book all the UK locations on this page. Choose between: Baker Street, Brighton, Bristol, Cambridge, Canterbury, Dawley, Derby, Dundee, Frome, Hereford, Leeds, Liverpool, Luton, Lye, Newbury, Newcastle, Oxford, Preston, Sheffield, Tunbridge Wells, and Wimbledon. We also have a Vancouver option available for our Canadian friends again too. If you’re sitting there thinking ‘that’s all well and good but there’s nowhere near me’, then you have two options: one is to grab a takeout on the night and join in via the hashtag #socialcarecurry and the second is to be brave, suggest your local curry house to us, volunteer to host and we’ll see if we can drum up some company for you!! You’re welcome to do that but make sure you act quick. Well what do you know, you lovely curriers have surpassed our expectations yet again. Two days ago we received our 100th booking for the December eat-up which is taking place across the country on Thursday 5 December at 7pm. We now have 15 locations in the UK and one in Vancouver and it looks like the December eat-up may prove even more popular than September when we had over 200 people. In alphabetical order, what follows are the locations, the venues and the hosts. If you click on the location it will pull up the booking page for that curry; click on the hosts names to get their twitter handles if you’d like to contact them directly about anything. From our perspective it’s the more the merrier when it comes to eat-ups. There are no minimum or maximum numbers, only two entry requirements – love social care and love curry, and as ever only one rule – no sales. So if you’d like to goto curry but can’t travel to any of the ones already organised then let us know where you’d like to hold it and we’ll add you to the list. More on what is involved is in our last blog post here. We are fairly confident that we’ll open bookings to a number of eat-ups in the planning stages in the next week or so. These are likely to be in: Cambridge, Dundee and Liverpool. There is also talk of at least one in Wales, one in Canterbury, one in Hereford, one in Hertfordshire and one in Leicester – so do leave a comment or send us a tweet if you’re interested in any of these venues and we’ll do what we can to get them happening. Here’s to a December eat-up to end the year on a high. Having just about recovered from the fun and games of #NCASC13 Social Care Curry Club eat-up, we’re now moving on to organising the next curry club eat-up proper. September saw over 200 people come together across the UK and Canada, to talk social care and eat curry. NCASC eat-up brought 80 people together in one place. We can’t wait to see what December holds. Step 1: At this stage we’re asking for volunteer hosts and locations. Step 2: What we’ll then do is get out our map (yes, in case you’ve not noticed already one of us is very geographically challenged) and identify whether we think we can have all the eat-ups that are offered. From our perspective there really is no limit, so as long as there are two or three people interested in an area then that’s a viable eat-up. Step 3: Once hosts and locations are agreed (if we get too many hosts offering for an area we’ll just arbitrarily pick), we’ll ask hosts to pick curry houses/venues and let us have them. Step 4: Hosts will then be asked to book the venue and identify maximum capacity. As NCASC13 shows interest does fluctuate, so hosts may need to contact venues more than once between now and December to up the booking, but hopefully they’ll be delighted with that and it’s not too onerous for hosts. Step 5: The next step is for us to set up eventbrite pages for each event and then it’s all about spreading the word and drumming up interest. Then there’s some back room organising stuff that goes on, we’ll try to blog about hosts and introduce you to each other. We’ll also set up twitter lists to add to the ones already here. Then on the night people come together, eat curry, talk social care, don’t sell anything including themselves, network in real life and using the #socialcarecurry hashtag and an awesome time is had by all. There is no structure, there are no presentations, powerpoints, or podcasts. There are no seating plans or big introductions. Learning from feedback – paying the bill! Based on the feedback received last time the biggest challenge is settling the bill, and there were some people who were concerned about whether they could afford the evening, so where possible we’d like hosts to try and arrange a set price buffet. Don’t worry if this isn’t possible, but if it is then it’s easier to collect money on arrival, and means that people have more or less an idea of what they’re spending. Who is on the hosting list already? We also had offers for Cambridge @Patient_Leader @CookCare, Leicester @StigmaArtUK, Luton @AgeConcernLuton @HWLuton_Chair, Lye @PaulJaunzems, Newcastle @SparkySW and Tunbridge Wells @GrahamShaw4 but will wait to have them reconfirmed before turning them into definites. NB Edit: Cambridge, Luton, Newcastle and Tunbridge Wells now confirmed; Dawley, Derby, Hertfordshire and Leeds added. So if you’re not on the list and would like to be, or there isn’t a location near you and you’d like there to be, then please add a comment or send us a tweet and we’ll add you to the list. The success of December is up for grabs, come on people, let’s do this.